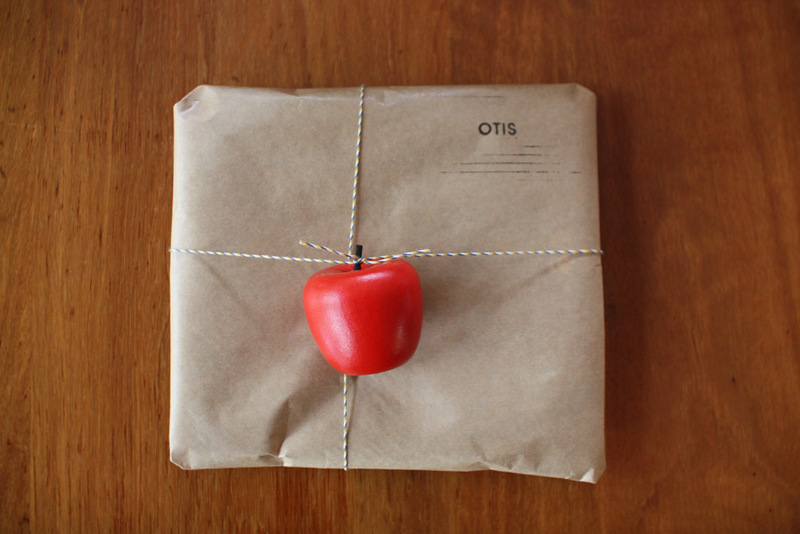 Last weekend was a very special occasion, the first birthday of my best friend Eko’s twins, Henry and Otis. Their party was themed with all their favourite foods, and Eko had made cute bunting, lolly bags and soft toys with sweet little pears, bananas, peaches and yoghurt with faces. 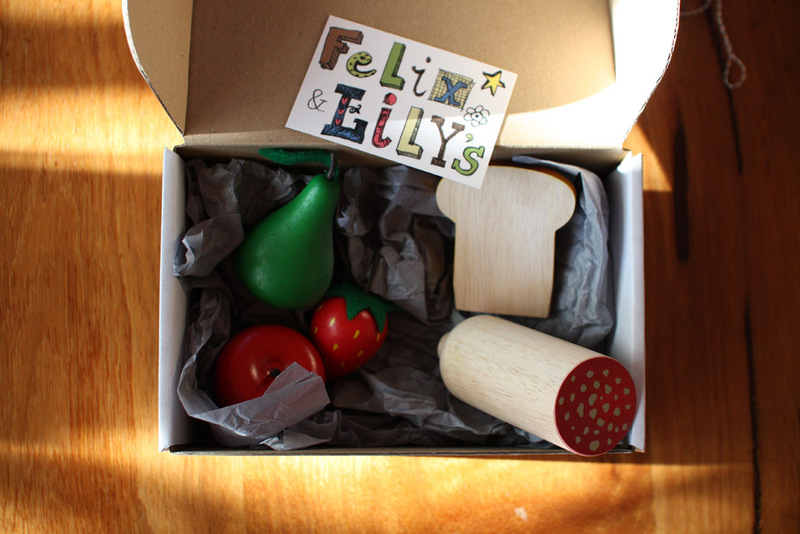 With this in mind I’d bought the boys some old-fashioned wooden toys shaped like various fun foods when I was in London a couple of weeks ago (from this cute shop). When it came time to wrap their presents I had very limited supplies on hand, so I decided that instead of wrapping the toys up, I would use them as the wrapping! 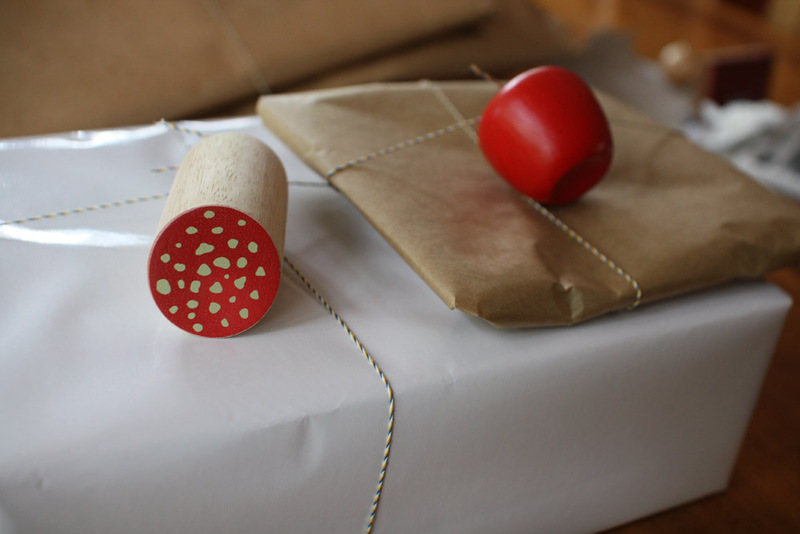 I wrapped each present in plain kraft paper, then tied around some cute twine and used it to fasten one of the wooden toys to the outside of the package. 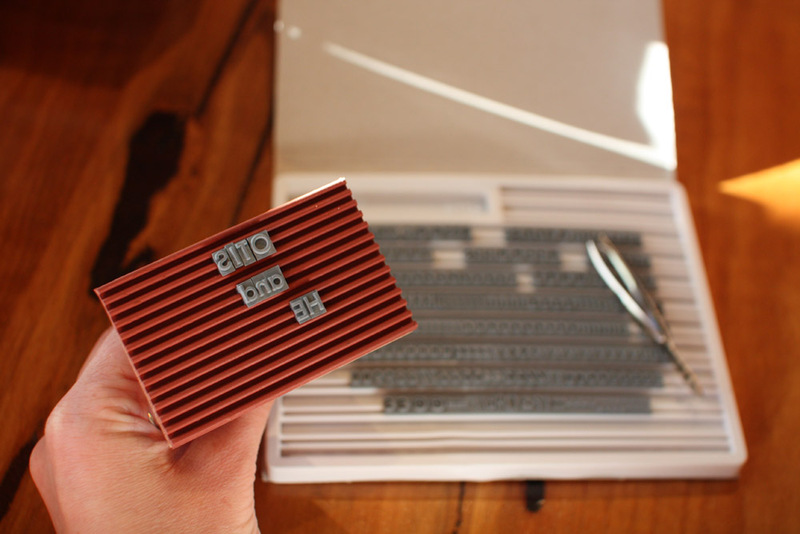 I had to mark which presents were for Otis and which for Henry, so I used my fantastic new stamp set to spell out their names and stamp them onto each present. With limited supplies on hand, I made a card by gluing plain white printer paper to some scraps of cardboard. 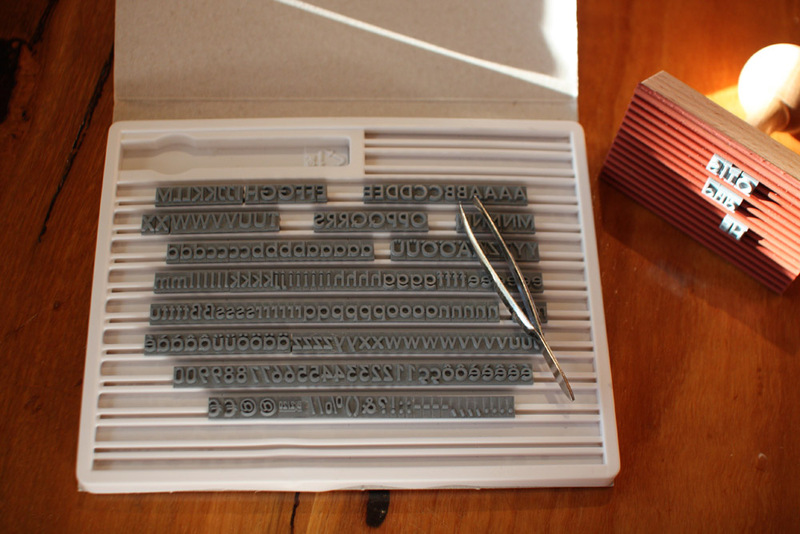 I used the same stamp to stamp the boys names on the front, and deliberately printed some of the lines as well. 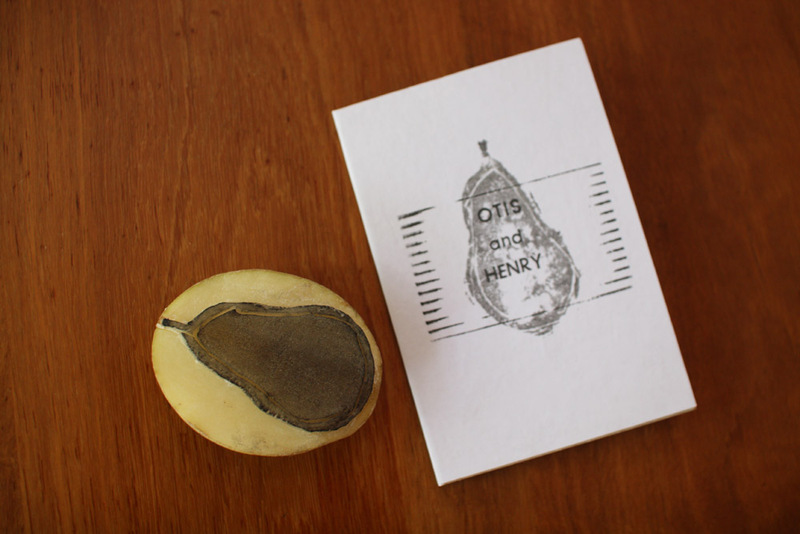 Then I made a potato stamp in the shape of a pear. 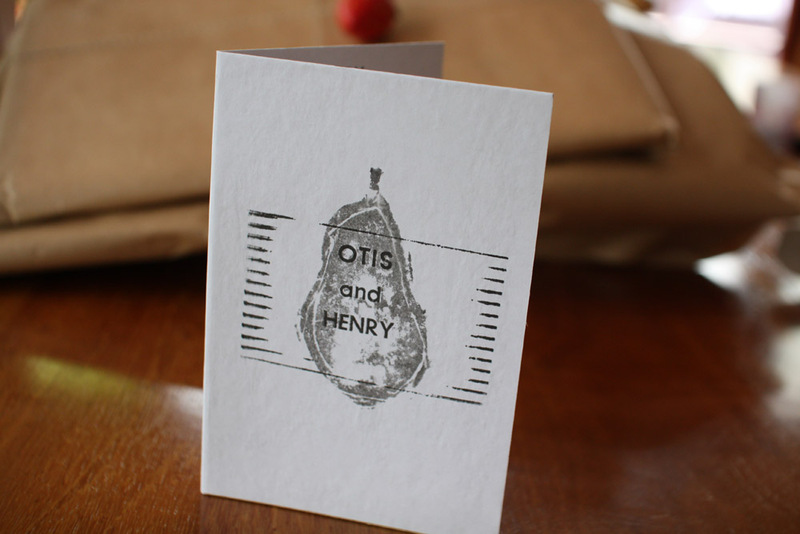 I only had black ink, so to make sure the pear came out lighter than the text I dabbed the ink onto the potato with paper towel, until it was only lightly covered, then stamped it onto the card. They say necessity is the mother of invention, and it’s true that I often find some of my favourite wrapping comes about when I don’t have much on hand to work with! I was really happy with the way this turned out, and the boys loved their presents, inside and out! 13 Oct	This entry was published on October 13, 2012 at 1:03 pm. It’s filed under wrap and tagged wrap. Bookmark the permalink. Follow any comments here with the RSS feed for this post.